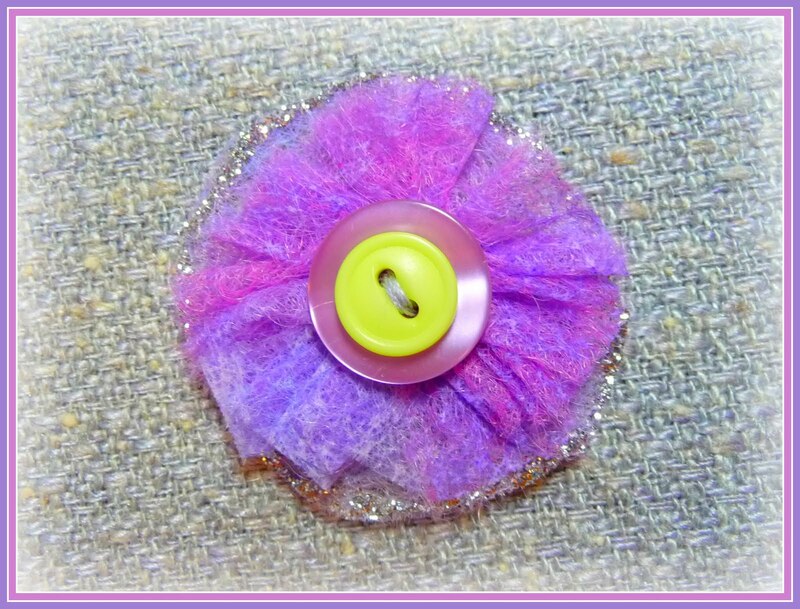 I had fun experimenting with a new fiber this past week, and my upcycling friends will love this! I was thinking about a fabric to use for lining the gift boxes I made a few weeks back. Then I remembered something I learned from my multi-talented craft group ladies who are scrapbookers/paper crafters. They had painted dryer sheets and used them to embellish their art projects. I experimented with different pigments made for scrapbooking, but in the end I decided to try dyeing them with my fiber dyes. I wasn't sure the acid dye would work because this is a synthetic fiber and also because of the fabric softener residue left on the sheets. As you can see it worked out wonderfully! 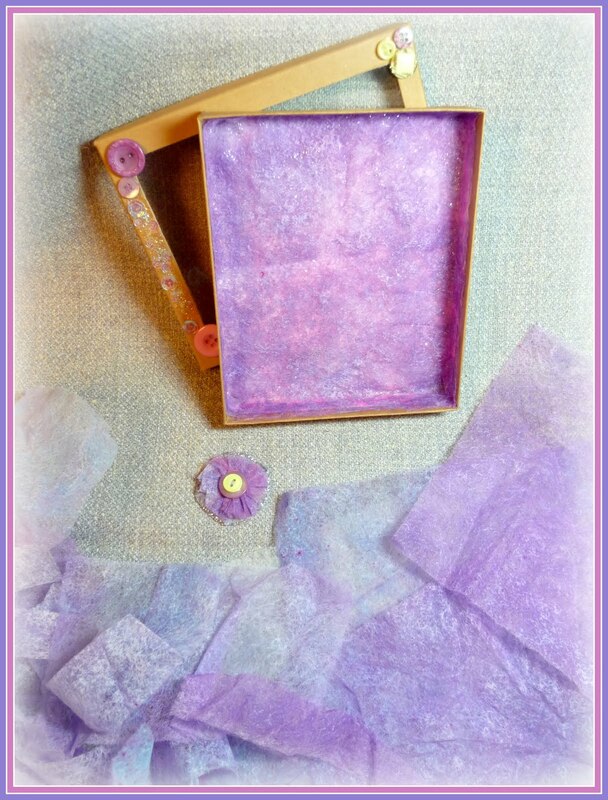 The colors turned out so beautiful and I left the rumpled textural look to the sheets when I affixed them inside the boxes. Gosh I love texture! I found I was able to achieve a really great dimensional look by layering the fabric and applying dashes and swirls of shimmer on the multiple layers. This creates a neat effect, which doesn't quite photograph, it's very understated, but adds that extra little zing. With some of the scraps I made these cute little Yo-Yos with buttons and sparkle trim. They will make great embellishments for my boxes and decorations, and they'll make a fun addition to gift tags too! I'm also saving up sheets/scraps for spinning into my art yarn, I'm hoping it will add a cool textural effect to my yarn too. I think I'll do a little test spin today! P.S. My friend Tamara (Via Verde Farm) saved me a large sheet of similar material which came wrapped around a new appliance! Thought I'd pass this on to everyone since this is the season for giving and receiving electronics of all shapes and sizes so that you can be on the look out for upcycling opportunities of your own! what a fabulous idea! I always seem to have tons of those things around! Love the yo yo you made too! Too cool Lady. Love the sheets and am anxious to see them in yarn form. It's amazing what we can create from items already around the house. Those dryer sheets were awesome in person and even your photos show how pretty they are. You have such a great eye for subtle color. Hope you had a nice Thanksgiving. Looking forward to seeing you at spinning next week. What a great idea, these look really beautiful! Wow...so pretty and the colors are just amazing...wow. WOw, I never would've thought of that, but it's a fantastic idea!!! 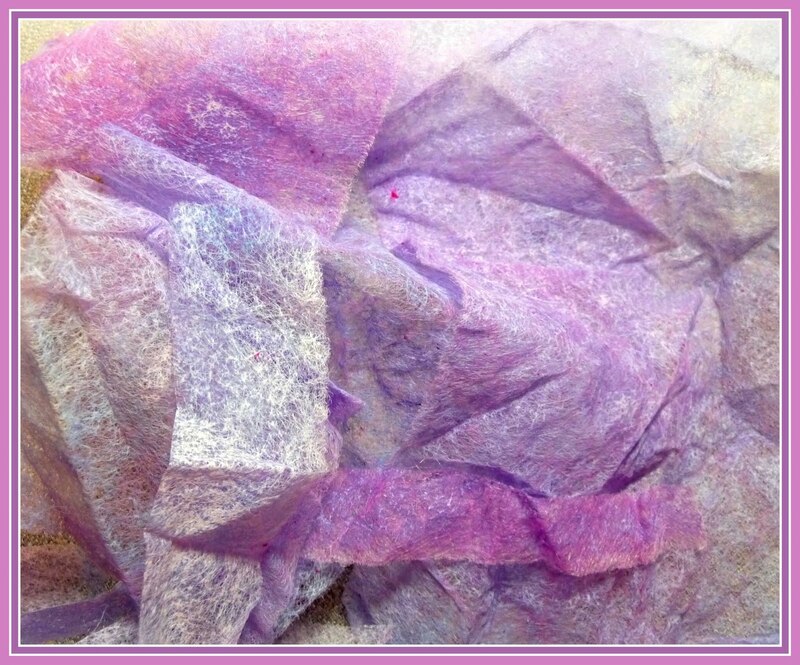 Thanks everyone, I would love to see the creative uses you find for the dyed dryer sheets! Did you mention if the sheets you used had been exhausted of softener before dying? That might make a difference? Try it and let us know. Yes these were used dryer sheets, once or maybe twice through the dryer. They didn't feel stiff like they would if they still had some fabric softener left. But even in the places where there was some slight resist from the fabric softener residue, it created a beautiful, foggy effect with the dye. I love me an upcycled craft. Gorgeous colours! Lovely job with the dyeing! The fabric looks beautiful and the effect you achieved reminds me of the "lazuring" of Waldorf school wals. Also, thanks for visiting and leaving a comment on my blog the other day!